With April 1st behind us, a new teaser is circulating on Riot's social media! The teaser is a single image of a winged being. Notably the two sides are not symmetrical and the figure is shrouded in a bright glow. Mysterious. It has not been confirmed yet if this is a skin teaser or a new champion teaser, although an educated guess would be that it is for a new champion. Riot Scruffy and a few other Rioters also tweeted out this mysterious image. This also follows a few vague hints by Meddler towards the next new champion, who will also be before the large scope Urgot champion update, While not much of a hint, we also know an upcoming champion's name starts with an R. Our last champion release was Camille in December of 2016. 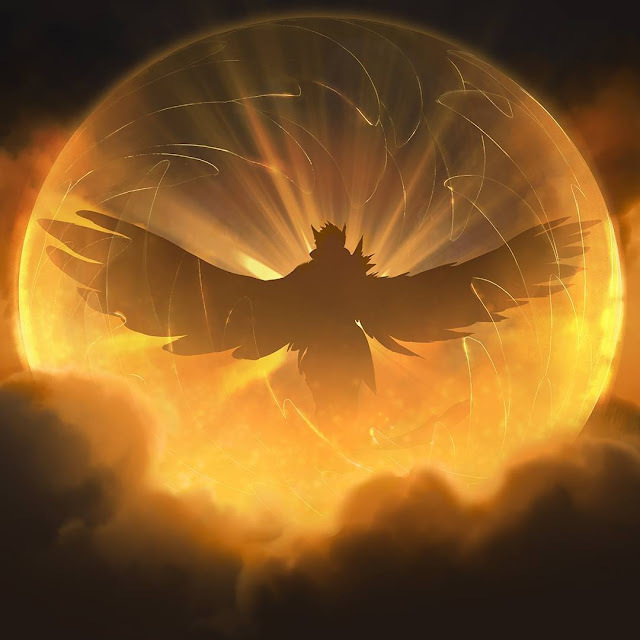 Look for more information on this as the 7.8 PBE cycle starts up in just a few days!